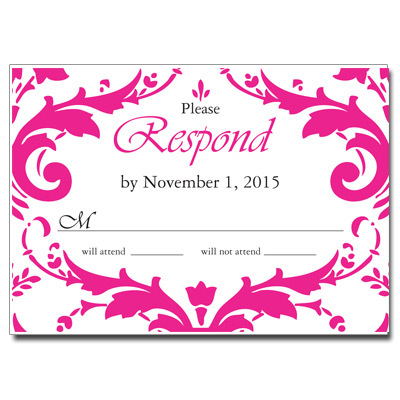 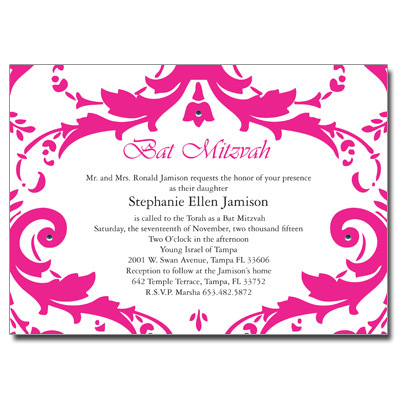 A magenta damask pattern frames your child's name and event date in this personalized Bat Mitzvah bookmark. 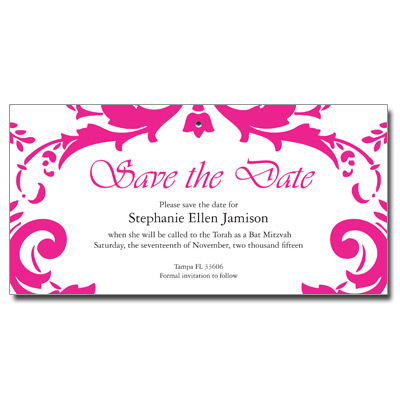 A silver jewel adds an upscale touch for a custom keepsake that your guests will love. 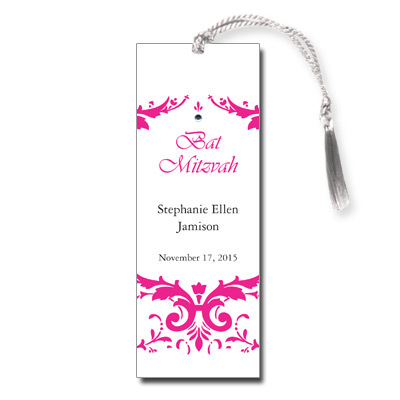 Bookmark measures 2x5.5 and comes with white tassels and stick-on jewels; light assembly required.